By means of a very wide work surface of approx. 260 x 80 mm the perfectwash - easywash365+ wash brush is especially designed for the efficient cleaning of large areas such as railway carriages, tramcars, omnibuses, caravans, trucks, boats and ships, facades, greenhouses as well as vehicles, motorcycles and many more. Fine and extremely soft natural bristles with split ends ensure an especially gentle cleaning of sensitive surfaces such as windows and car finish. The solid body of the perfectwash - easywash365+ wash brush consists of 152 bristle bundles which are attached undetachably by means of multi-component synthetic resin. Our perfectwash - easywash365+ wash brush convinces all users working in the self-service foam- and prewash of an ideal and very easy handling. The inlet of the perfectwash - easywash365+ wash brush is equipped with a brass insert with 1/4" female thread which is fixed in the body. By means of an additional grub screw the high pressure lances available at self-service bays are safe from twisting and theft. Therefore, the grub screw needs to be screwed to the lance tube. Further fastening plates or protection against theft are not required. 13 outlet ports at the bottom of the perfectwash - easywash365+ wash brush enable the required water flow and guarantee a convincingly good foam quality at the same time. Our enclosed data sheet gives you further information about the perfectwash - easywash365+ wash brushes. You can download it as a pdf-file (english . deutsch). The vertical perfectwash - easywash365+ boom for single washing bays! This cost-efficient solution is ideal for smaller self-service motorcycle, bicycle or car washing bays. It is not absolutely imperative that the boom is incorporated in the technical board as it can be easily mounted on the wall. Therefore, the vertical boom is also the perfect solution for areas with a shortage of space. Due to its compact design not much room is needed, but however a high degree of mobility is given. The radius of 360° as well as the built-in spring guarantee best possible mobility when carrying out the washing. 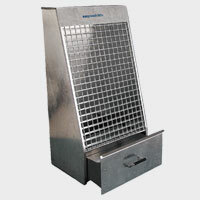 The vertical perfectwash - easywash365+ boom is completely made out of stainless steel. A mounting bracket is included in the consignment. 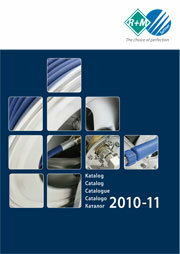 Our enclosed data sheet gives you further information about the vertical perfectwash - easywash365+ boom. You can download it as a pdf-file. In our previous newsletters we have told you a few times that human-factor engineering plays a very important role in self-service washing bays. In this context we should mention and talk about our easily operated perfectwash - easywash365+ spray guns (pdf) with enormously reduced trigger and holding forces or the high pressure hose CARWASH COMFORT (pdf) - the new hose wonder in self-service washing bays. Our data sheet gives you more information about the pre-assembled perfectwash - easywash365+ brush and spray lances with the new perfectwash - easywash365+ handle. You can download it as a pdf-file. Due to an easy handling with enormously reduced trigger and holding forces as well as integrated swivels our well-proven and favoured spray guns and handles from our product line perfectwash - easywash365+ have been convincing our customers for many years. One thing for sure! By means of the developed CARWASH COMFORT hose especially designed for self-service car wash and prewashing you will love to clean your car as it is really one of the easiest jobs. The high pressure gun perfectwash - easywash365+ was specially developed for the use in the car wash industry. Due to the patented LTF technology (Low Trigger Force) the perfectwash - easywash365+ is ideal for professional permanent cleaning applications and the connecting units are made out of corrosion resistant materials. The high pressure lance is completely made out of stainless steel. The extra long and shockproof insulation serves as protection of the vehicles and is variable in its length and replaceable. As an alternative to the high-end perfectwash - easywash365+ product which is developed on the basis of the ST-2600 with LTF technology the price conscious car wash supplier is provided with the small cousin ST-1100. 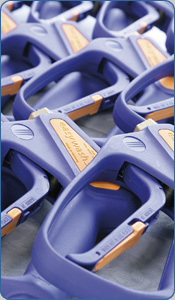 The new perfectwash - easywash365+ handles are ergonomically designed. They are angled 20 °. The handles are available in black and blue. Lance with perfectwash - easywash365+ handle and nozzle protector ST-10 without nozzle. perfectwash - easywash365+ lance holder - a convincing choice of quality! We have already introduced the perfectwash - easywash365+ lance holder with optional wall mounting bracket to you. The fact that we can now offer you three different versions is very pleasant. The perfectwash - easywash365+ elbow swivels totally made out of stainless steel replace both R+M versions, the stainless steel as well as the chromed brass ones. They are available either in 1/4" F / M or 3/8" F / M.
Two high performance double acting o-ring energized seals designed for rotation guarantee an extremely long durability at constantly free movement - even under extreme conditions. We would like to stress that the perfectwash - easywash365+ elbow swivels are designed for a pressure of up to 400 bar and for temperatures of up to 90 °C. Due to its compact construction and the fact that it is maintenance-free the elbow swivel is not only the ideal swivel for ceiling booms but also for e.g. hose reels and high pressure cleaner. Furthermore, the perfectwash - easywash365+ elbow swivels are suitable for hot and cold water applications as well as for the mediums air, oils and greases. The perfectwash - easywash365+ swivels are applicable to high pressure spray guns and hose connections, ceiling booms as well as self-service car wash. Inox! The reinforced inner part is made out of stainless steel and the housing is made out of a mixture of stainless steel and brass nickel-plated. The R+M standard and double ceiling booms being available in our range so far have been replaced by the perfectwash - easywash365+ car wash ceiling booms. The cornerstone was the newly developed perfectwash - easywash365+ ceiling boom-Z model which enlarges our product group as additional version.